Our friends at Centenary Landscaping know their pebbles! 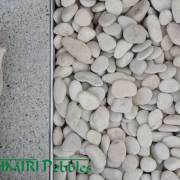 Check out this great article outlining the best and most common uses for our Decorative Pebbles and Gravel. Remember, if you’re doing a large job and would like Kashmiri Pebbles in larger quantities, ask your supplier about 1 Tonne bags. We can generally source all of our products in bulk quantities on special order and there will be saving to be had! The original version of this article appeared on Centenary Landscaping’s Backyard Blog on 15/10/2014. It has been reproduced here with permission from the Author. More and more regularly we are seeing Decorative Pebbles and Gravels being used as a ground cover in garden beds as mulch, pathways, driveways and areas around the house where a something just a bit more “pretty” then bark or mulch is required. With the ever expanding and wide range of Decorative Pebble options available on the market it’s no wonder, you can now choose almost any colour of the rainbow! Locally sourced pebbles can be a great budget option for your landscape design, with many naturally smooth river pebbles available in a variety of colours from all over the East coast of Australia. 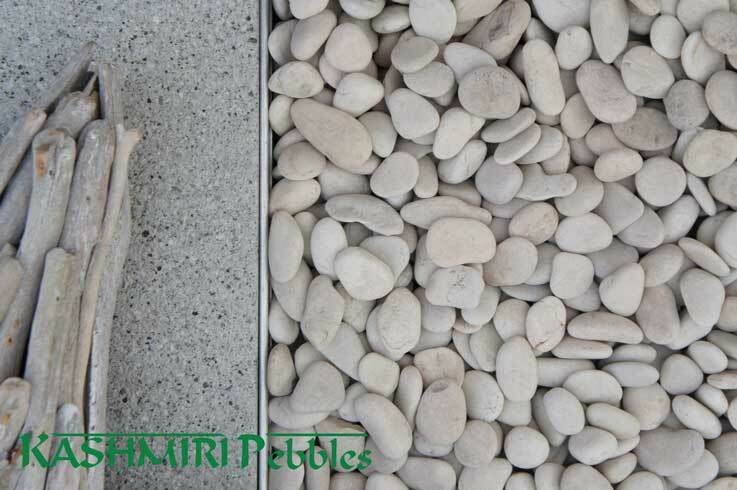 But for a real premium look, check out the range of decorative pebbles from Kashmiri Pebbles. They are supplied by the 20kg bad (or for larger areas, 1 Tonne bags can be sourced by special order) and come in a huge range of colours and finishes. inevitably break down and require replenishment. Expect to be replacing your mulch every 6-12 months and bark every 12-18 months. Decorative pebbles on the other hand can last a lifetime! Be aware however, that bark and mulch play a number of key roles in the garden. The first is quite simply soil protection from things like erosion, sunlight and weed germination a role pebble mulch can easily fill. The second is to break down and “feed” the garden bed adding organic compost from the rotting timbers. Unfortunately this is one role pebble can not fill, so you will need to ensure that you feed your plants and gardens in other ways such as through the regular application of liquid and slow release fertilisers. Pebble mulch is best suited for native and arid gardens where composted organics are not as high in demand. A great way to spruce up an otherwise dreary area is to add colour! And much like paint and carpet, Decorative Pebbles can do just that for your garden. 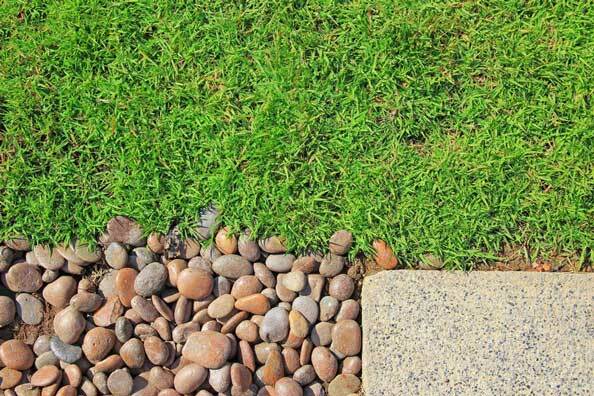 If you have a neglected corner, an eroding pathway, or an unkept and unwanted lawn, decorative pebbles might be your best option. We recommend at least a 50mm layer of pebble is used in order to get good even coverage and weed control matting is a must in these areas. In most cases with the use of weed mat (and a little bit of weed killer), the pebbles can go down straight over the existing surface for an instant facelift. Pebbles no bigger than 20-30mm are recommended if there will be foot traffic and obviously the smaller the pebble the “softer” it will be under foot, but too small and you’ll leave footprints! For driveways a 20mm gravel (crushed rock) works best, as the angular edges lock in a minimise movement under tyres. One of the easiest ways to smarten up your deck, patio or backyard is with large potted plants. Sometimes planting into ground is just not possible whether you’re renter or you have limited space. Our range of small to large feature pots are perfect for just that, and they can be finished off beautifully with a bag or two of Kashmiridecorative pebbles. With all the colours imaginable, you will have no trouble matching your pebble choice to your house, pot or garden colour scheme. Not only will the pebbles add a great colour feature they will also help protect your planting investment by preventing the potting medium from drying out so fast in the heat.